Kids who engage with art in meaningful ways have a crucial leg up. They learn to talk about shapes, forms, light, and content. They master fabulous myths and tales from literature and history. They discover legends from foreign lands: fascinating battles, heroic leaders, ambitious conquerors, and creative heroines. And they have a huge amount of fun. 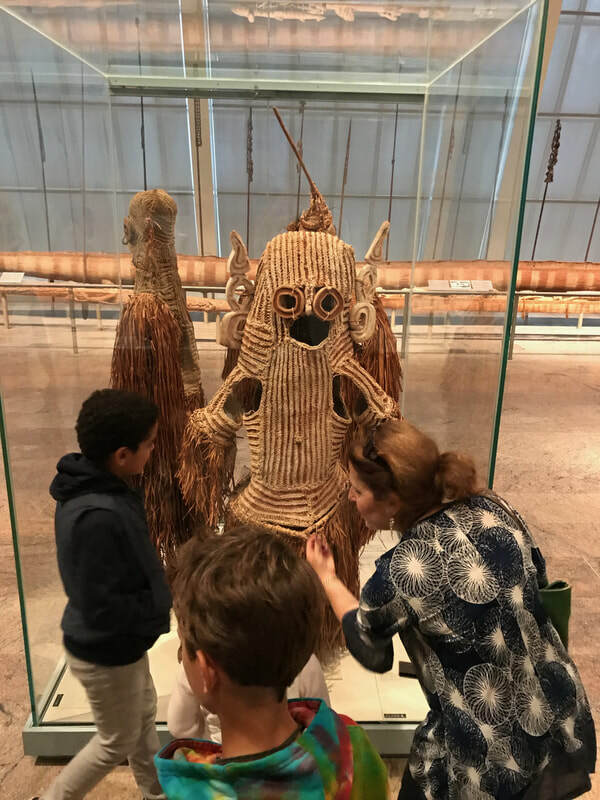 By popular demand, Heart of the Art master teacher Emily Sachar now offers ArtStart: one-on-one tours leading your child or children through the museum of your choice. Choose single tours or a package. Painting by painting. Sculpture by sculpture. Brush stroke by brush stroke. Treat your child to a wondrous world, and build a passion that will last a lifetime. Above: Emily leads three children from Italy through the Arts of Africa, Oceania and the Americas at the Met. through the contemporary galleries at the Met.